15th NTRCA Admit Card Download 2019 will be published soon by the authority. According to the circular teachers registration Preliminary exam will be held on 19th April 2019 & Written exam will be held on 26th & 27th July 2019 under Non-Government Teacher’s Registration & Certification Authority (NTRCA). VIVA exam schedule will be declared Later. NTRCA informed this by a press release. 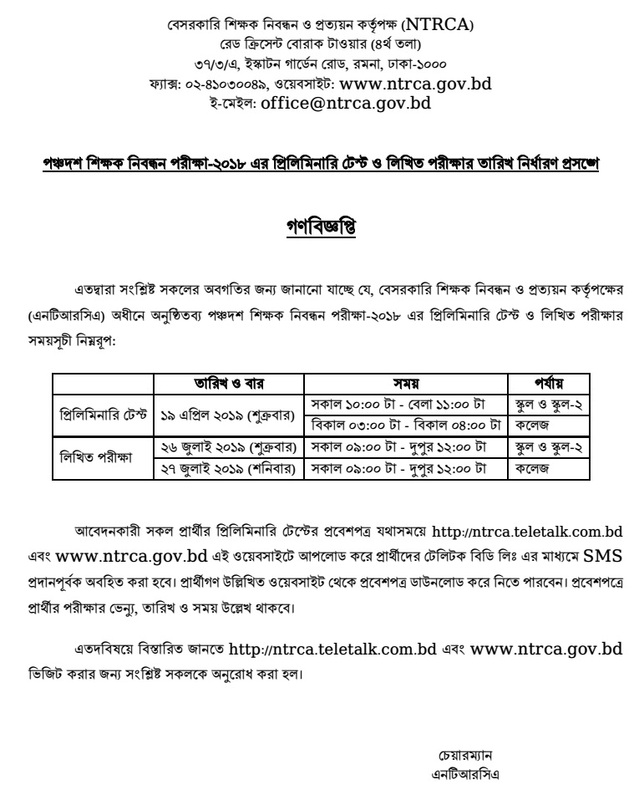 15th teachers registration circular 2018 has been published on 28th November 2018 on NTRCA website and various daily newspapers. The Non-government Teachers Registration and Certification Authority (NTRCA) has announce the date of submitting application of 15th Non-government teachers registration examination 2019 through online. You can collect your admit card. It is need to participate the exam. 15th NTRCA Admit Card Download 2018 has been given bellow.